Twenty-eight miles. That’s what separates WHS from the heart of one of the world’s most iconic streets: Broadway. Having existed for around two centuries now, the 41 theaters that comprise the industry of Broadway represent some of the most important foundational components of American arts. The close proximity of Westfield to the theater district in Manhattan gives our town an advantage over others in making it possible to see numerous shows. But when it comes to knowing what it’s really like to work on Broadway, this information could not be more foreign to a majority of Westfield residents. 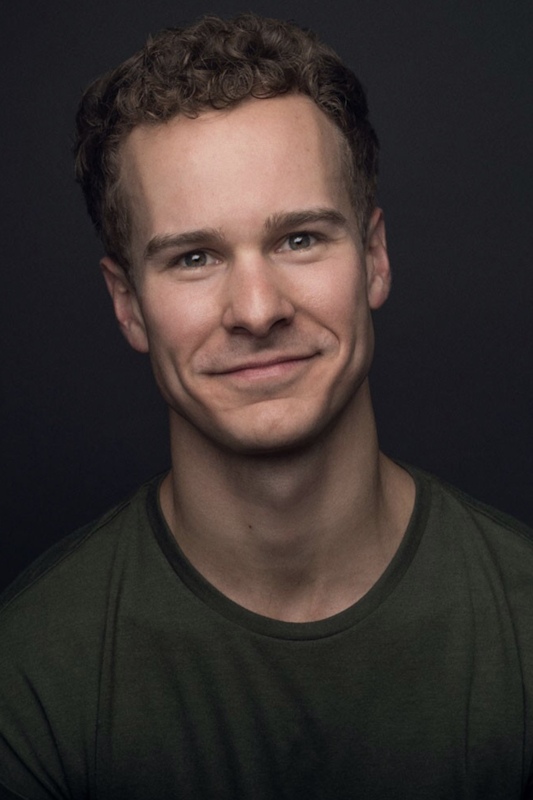 Ryan Steele, current ensemble member and understudy for the roles of Jigger Craigin and Fairground Boy in the Broadway revival of Carousel, knows firsthand what it’s like to work on Broadway. Steele has been in five Broadway shows over the past nine years: the 2009 revival of West Side Story, Billy Elliot, Newsies, Matilda and now the revival of Carousel. In an exclusive interview with Hi’s Eye, Steele gives Westfield residents an insight into not only his career, but also the ins and outs of life as a Broadway performer. After taking his first class at age six, Steele’s love for dance instantly bloomed, as he later attended two highly selective summer dance programs at The Juilliard School in Manhattan. After his high school graduation, Steele moved from Michigan to New York in order to pursue a career in the performing arts. Steele and Pyle grab a photo outside the Imperial Theatre. Although working on Broadway includes an intense health and work schedule, it also offers many benefits that only a select portion of society gets to experience. One of the many special characteristics of working on Broadway is being able to build unique bonds with one’s cast and crew, and the rest of the theater community. The backstage traditions of a cast and crew embody this unique bond while also remaining sacred to Broadway performers. “I love building rituals and traditions with my cast members. In Carousel, we have a big circle before every performance where we can just be together and check in,” Steele said. Another cherished backstage Broadway tradition occurs when a cast member departs from a show. An actor’s last show is celebrated to commemorate the blood, sweat and tears that they’ve poured into the show. Beyond the perk of building long-lasting relationships, Broadway performers also have the honor of performing for—and sometimes even meeting—successful and powerful celebrities. “I remember being really starstruck by Whoopi Goldberg,” Steele said, citing one of the many celebrities he’s been able to meet in his career. Working on Broadway is one of the most physically demanding and tiresome jobs, but as explained by Steele, its benefits surpass its challenges. For Steele, the best part of his job is achieving his dreams while being surrounded by people who share similar goals, and who also support him wholeheartedly.